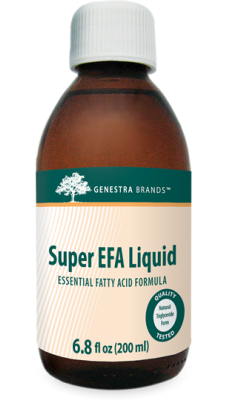 Genestra Super EFA Liquid is designed to bring you the very best in Essential Fatty Acid supplementation. Provides EPA and DHA Omega-3 Fatty Acids from fish oil which has been enriched and purified to preserve potency and improve flavor. Purchasing this product today earns you 37 DR Reward Points! 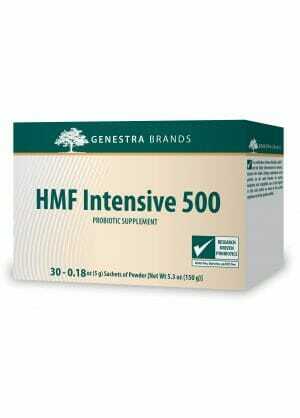 Genestra Super EFA Liquid is designed to bring you the very best in Essential Fatty Acid supplementation. Provides EPA and DHA Omega-3 Fatty Acids from fish oil in a natural orange oil base which has been enriched and purified to preserve potency and improve flavor. May provide nutritional benefits for the cardiovascular system, neurological functions, and anti-inflammatory activity throughout the body. Feature 1975 mg of Omega-3 Fatty Acids from fish oil in an all-natural liquid base. 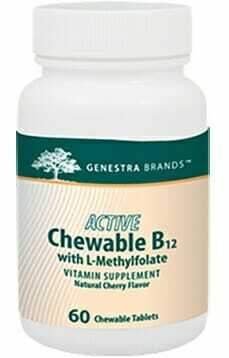 Only utilizes the highest quality of natural ingredients. Neo-3 process helps to preserve the natural potency of the ingredients while reducing the unpleasant flavor of fish oil supplements. Commonly used for support of heart health, cognitive function, and anti-inflammatory activity, as well as to prevent deficiencies. Safe for use in children in smaller doses. There are many varieties of dietary fats which are essential for human health. However, not all of these fats can be organically produced within the human body. Fats which cannot be produced , yet are still necessary for human health are generally referred to as Essential Fatty Acids. These Fatty Acids can take many specialized form. Perhaps the most important of these forms are Omega Fatty Acids. As these Omegas cannot be produced within the body, they must be acquired from food sources, primarily seafood. In fact, the primary reason that seafood is widely recommended for health purposes is its high Omega Fatty Acid content. Once ingested Omegas are supportive of cardiovascular health, neurological function, and anti-inflammatory activity throughout the body. What’s more, those who do not receive enough of these essential nutrients through dietary choices leave themselves vulnerable to deficiencies and a number of health concerns which may arise as a result. What Sets this Fatty Acid Supplement Apart? The importance of Essential Fatty Acids, contrasted with their difficulty to obtain from food sources alone, makes supplementation a popular choice for people of many different diets, lifestyles, and health concerns. This also means that the market is flooded with Essential Fatty Acid supplements, some of which are of a much higher quality than others. So how to find the best and most natural option which is right for your body? Some supplements provide Omega Fatty Acids from fish oil, while others are vegan and vegetarian friendly. Some utilize preservatives, artificial ingredients, and other additives, while others are all-natural. Then there are liquid forms, capsules, tablets, sprays, topical creams, and more! The options can be overwhelming. 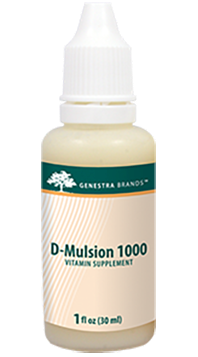 What Genestra seeks to offer is the highest quality all-natural, liquid Essential Fatty Acid supplement which is based in fish oil as a source of EPA and DHA Omega-3 Fatty Acids. To achieve this goal, this one-of-a-kind supplement is made using the cutting-edge NEO-3 process which utilizes lipase enzymes to naturally enrich EPA and DHA concentrates, virtually eliminating contaminants, and providing a more clean and pleasant flavor. Adults and Adolescents (9 years and older): Take one teaspoon daily with a meal or as recommended by your healthcare practitioner. Children (1-8 years): Take 1/2 teaspoon daily with a meal or as recommended by your healthcare practitioner. Note: Guaranteed to contain no added wheat, starch, yeast, gluten, corn, sodium, sugar, artificial coloring or flavoring, antimicrobial preservatives or dairy products.